Hello, My name is Dan Spencer. ...I'm NOT a "Photographer". I create Portrait Art but not as a "business" simply because I am the worst "business man" I know! I've gone to conferences, studied online business courses and it all goes out the window! I hate running a business! I want to "create" so that is what I do. I do this for fun and because I LOVE doing this. I have come to terms with the fact that I will never be a successful "business man" and I'm ok with it because people still let me create beautiful portrait art for them anyway ...as an Artist! For me, the camera is but one of the many tools used to create the finished portrait. From the studio to the location, to the time of day and the camera, lens, lighting and all the individual settings of each of those elements along with the computer programs utilized to enhance the photo, all the way to the pro lab used in the creation of the finished art piece. 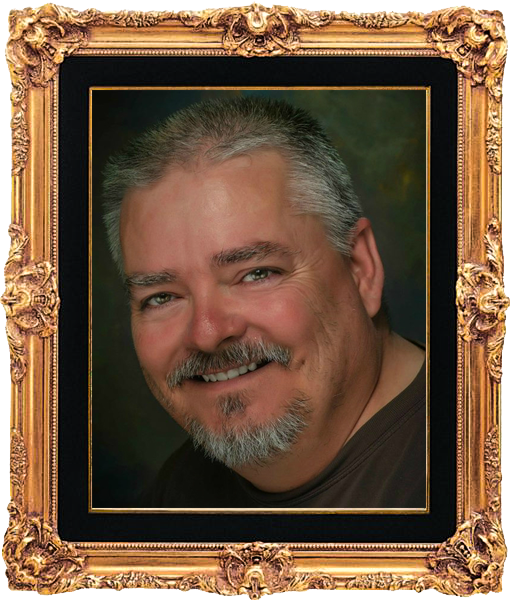 With over 3 decades of God gifted artistic skill combined with the technical knowledge I am able to create wall art portraits that will be cherished for generations to come. With that much experience behind me, I've learned how to pose, light and photograph all types of people so they look their very best. Although my "specialty" is Luxury Beauty Portraits exclusively for the Everyday Woman, with 30+ years of experience, I can fairly competently photograph nearly any other subject (or I can direct you to one who can). From forensic evidence for criminal or civil litigation to automobiles to real estate to events to portraits (including pets). I am a lighting geek and a photoshop junkie so your portrait art will be beautifully lit and professionally edited to magazine quality perfection. I utilize a private, fully equipped portrait studio space downtown and I'm also 100% portable - I can come to you. Although, I don't generally photograph children or big weddings, I have been known to make exceptions for current and past clients. I can also direct you to fellow photographers who will do a great job for you if you need a large wedding or children photographed. I am a past contributing photographer to HELP Portrait, was the 2010 Vice President of Kern Photography Association and am the founder of the popular facebook group Kern Models and Photographers. Here are my websites geared towards work I can do for you. ♥ NEW! Check out my newest offerings... "Digi-Tins"! Digital Tintype Prints! ♥ View more of my work SAMPLES at Spencer Luxury Portraits. ♥ Need Boudoir Portraits for that ultimate "Visual Love Letter"? ♥ View my magical fairy creations at Realm of the Fairies. ♥ Here's my very unique RETRO-WORKS Classic Effects Wall Art. ♥ Photographers, need a studio? Here's the one I use! Studio 4 Me. Although there is never a "Session Fee" for any portrait commissions, please understand, there IS a "retainer" of $100. to reserve your session date/time. which will go towards your final order purchased. And, if after all this, you are not happy with the art I create for you and choose not to order any prints, I will return your $100. You see, It all falls on me to produce amazing wall art portraits that you absolutely love and must have. My average clients spend about $1500. or so on Prints, Canvases or Books. I offer a 100% satisfaction Guarantee! 2.) I charge only for the products ordered (not the session) and that "retainer" you paid to book your session, goes towards any products ordered! Want Premier Canvas Gallery Wraps? How about stunning HD Acrylic Prints? Or, Framed Prints? They are all the SAME PRICE! You see, I sell wall portraits by their SIZE and not how they are displayed! My commissioned art prices are very simple... Just $1.25 per square inch! The smallest print offered is a framed 16x20 in a 24x28 frame which is 672 square inches x $1.25 = $840. 1.) Any style, personalized professional portrait session. 2.) Custom Image Enhancements to perfection. 4.) A FREE Gift with each purchase. 5.) And there's that 100% love it guarantee thing. So what are you waiting for? Go ahead and BOOK ME now. Remember, You are not hiring a "photographer"... You are commisioning an artist to create a stunning Portrait that is intended as "Wall Art" which is sure to increase in value as time goes on. Here's some more SAMPLES of some of my work. or simply E-Mail me at: [email protected]. I'm also available via Facebook.com/DanSpencerPhotography.
" YOU should be the Art on your walls." Head Shots, Formal / Casual Portraits, Models, Senior Portraits, Enchanted Fairy, Engagements, Cottage Weddings and much More! Heirloom Quality at Realistic Rates.